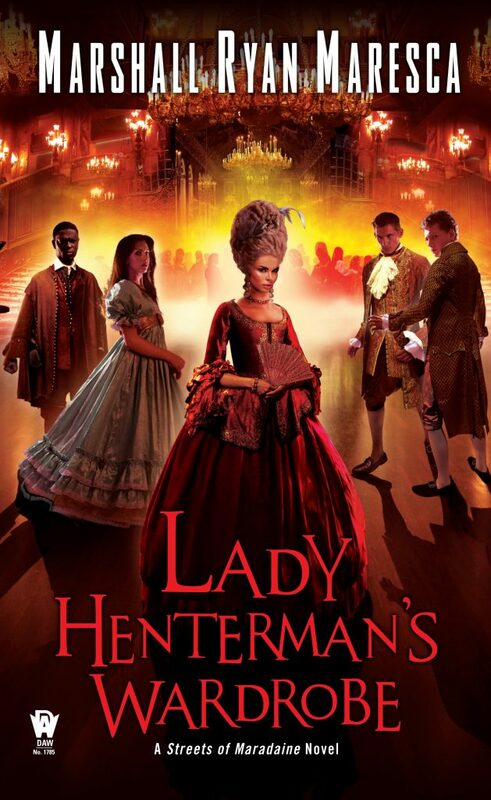 So, I’m not going to share it, but the first cover art I received for Lady Henterman’s Wardrobe was… not good. Most of the time when I get a cover art email from my editor, it’s very exciting. I’m thrilled to see what vision has come from my books and artist notes. When that first Lady Henterman cover came in… oh, no, I did not have that feeling. And in a little bit– shortly after Lady Henterman releases (eight days away! ), we’ll be revealing the cover for The Way of the Shield. l like it a lot, let me tell you. It’s cover that tells you right away who Dayne Heldrin is, and Paul’s once again done an excellent job. Let me tell you, I have been really lucky to have Paul Young as my cover artist for all the Maradaine books. He gets the look and feel that I’m going for, and he actually reads the text of the book looking for ideas and imagery that pops out. I think he’s done me a lot of good with every book, and I’m proud to have his work be the calling card for mine.